This is a story about a snow-covered island you won't find on any map. It's the story of a girl, Minou. A year ago, her mother walked out into the rain and never came back. It's about a magician and a priest and a dog called No Name. It's about a father's hunt for the truth. It's about a dead boy who listens, and Minou's search for her mother's voice. It's a story of how even the most isolated places have their own secrets. It's a story you'll never forget. This book arrived with me much like the dead boy arrived on the island: unexpected and anonymous. Wrapped in brown paper instead of a thick jacket, and with mysterious front page ripped in half instead of a mysterious gold button. To this day, I am still unsure where this parcel came from, and like the dead boy, I still haven't discovered its secrets. 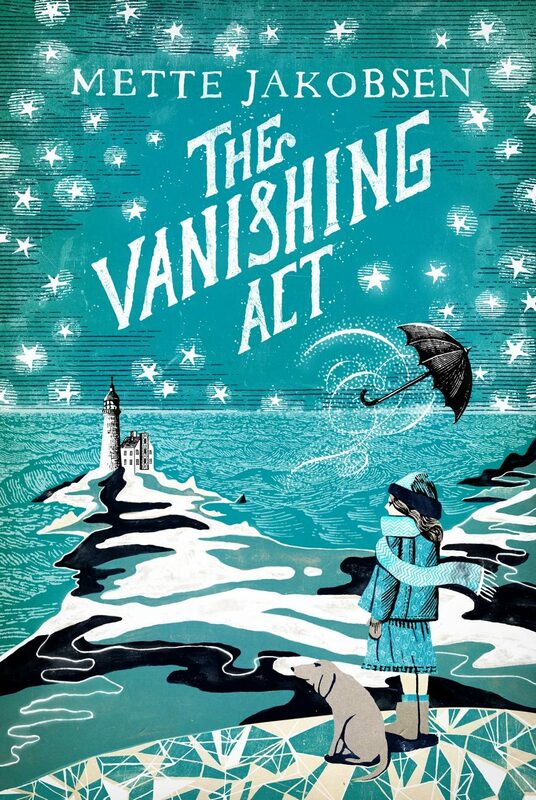 Although I found The Vanishing Act enjoyable, the more pages I turned, the more I realised there was absolutely nothing behind the pretty prose. Jakobsen writes gorgeously of the island, its isolation, and what's happened to its inhabitants. After the dead boy washes up, Minou considers her life's mysteries with her philosopher's mind. Through flashbacks and deep thinking, we begin to understand what's happened, but are only deeply disappointed when nothing unravels at all. Each of the characters were fragile, eccentric works of art with no background or dimension attached to them in the slightest. The desire to find out more about them is huge, as Jakobsen writes of their quirks and ticks beautifully, but doesn't give us any more than a flicker of detail. I enjoyed the comparisons between logic and imagination. Although Minou saw herself a rational thinker like her father, we frequently saw strong flashes of her mother's creativity and imagination shining through. It was a nice testament to the argument that one can be both logical and imaginative all at once. This had huge potential; Jakobsen's narrative is lyrical and profound, allowing us to smell the sea and feel the frost, but there's no real goal to her writing. Although she hinted we should look at the bigger picture instead of getting lost in detail, this simply wasn't enough. I just wanted to know so much more than was offered to me.